Since the year 1900, passionate Oklahoma Sooner and Texas Longhorn fans have battled in the Red River Shootout. The football stadium is divided on the 50 yard line keeping the crimson and burnt orange sides separate and your flag should be divided too. 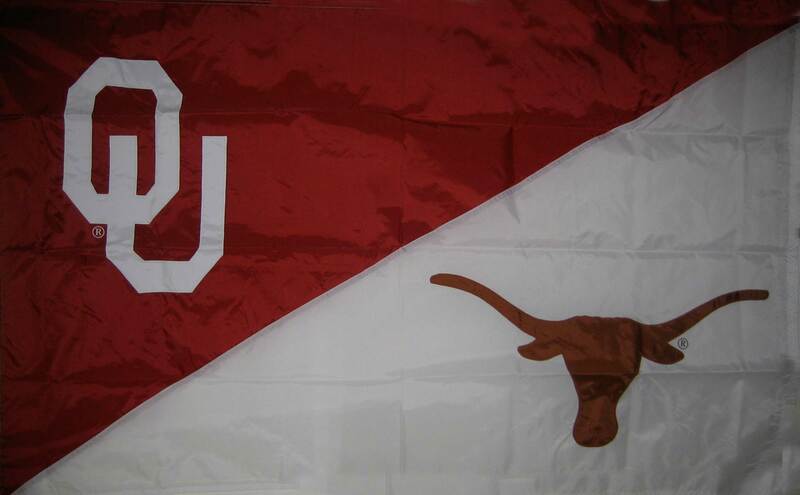 If you were bold enough to ignore the state laws in both Oklahoma and Texas and date or marry a fan of the opposite side, a custom house divided flag will help you both keep the peace.